Freeman Deutsch manages the Living Well Network Computer Lounge Open Lab, offers focused workshops and classes, and conducts Computer Home Visits to assist LWN Members with their home-based computer and technology issues. He enjoys working with people of varying technical backgrounds, and helping them have fun while they learn, no matter what their level of technical understanding is. Freeman loves helping people figure out how to get software and technology to work best for them. 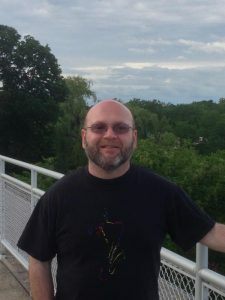 Freeman worked in the Science Education Department at Harvard College Observatory for over 10 years creating the first software that allowed students to totally control robotic telescopes over the WEB.